What Would Kurt Cobain Sound Like Today? It was rock legend Kurt Cobain's birthday earlier this week - he would have been 50 years old. Every year I find myself wondering what his music would sound like today. Cobain was an old soul, both in his life and in his songwriting. His lyrics have always been personal and deep. It's almost hard to picture him picking up any form of an electronic rock sound, which is so prominent today. We have seen intimate footage of his personal life through the documentaries Montage of Heck and Kurt & Courtney. It feels like an invasion of privacy. But a lot of the footage shared in the documentaries, specifically Montage of Heck, have a ton of unreleased music that his family members and close friends have kept private for themselves until recently. 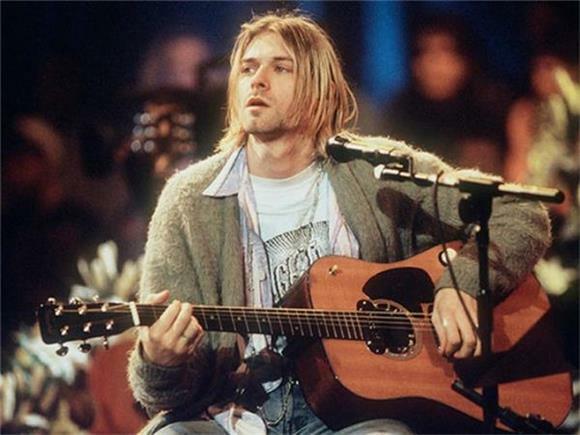 Cobain's acoustic cassette tapes were featured through clips and there was a populous of tapes stored in boxes and bookshelves that the public has been missing out on. If Cobain were still alive he might have tried to finish the recordings. There is something calming about when Kurt sat down with MTV and recorded the Unplugged album. Kurt manages to reel his fans in when it's just him and a guitar. You knew what kind of show you were in for. But for artists who are as famous as Kurt, is being predictable a good thing? If Kurt was making music would he do something unexpected? Cobain is iconic because of the quality and innovativeness of his music throughout the grunge era. He has helped musicians like Kathleen Hanna find their voice and reach the full potential as a female headliner with Bikini Kill which was still huge for the nineties. That is his mark on history. So would it be acceptable for Cobain to create a low-quality, home produced cassette tape? It wouldn't enhance him into the future of today. Would Cobain form a new band with a different sound on his own? There were tensions within the he band and each member had different creative intentions. Dave Grohl displayed this when revolutionized alternative rock with his then new band, the Foo Fighters - who are now loaded with classic hits. Maybe Cobain was ready for break to work on a softer sound based on the private recordings. It is hard for fans, including myself, to imagine Cobain using any form of electric sound in his music. I'm not sure when grunge entirely faded out. Most opinions side with the idea that it died with Kurt. Grunge was wounded when this happened. This concept has me wondering if this edgy sound of music would have been able to prevail with the change of times. Or would the genre be strung out for too long? We'll never know. I'll always keep asking myself: would Kurt produce his unfinished recordings? Or would he tell us to "leave him the hell alone"? All we can do is wonder.